Open house cancelled...Seller has accepted an offer. 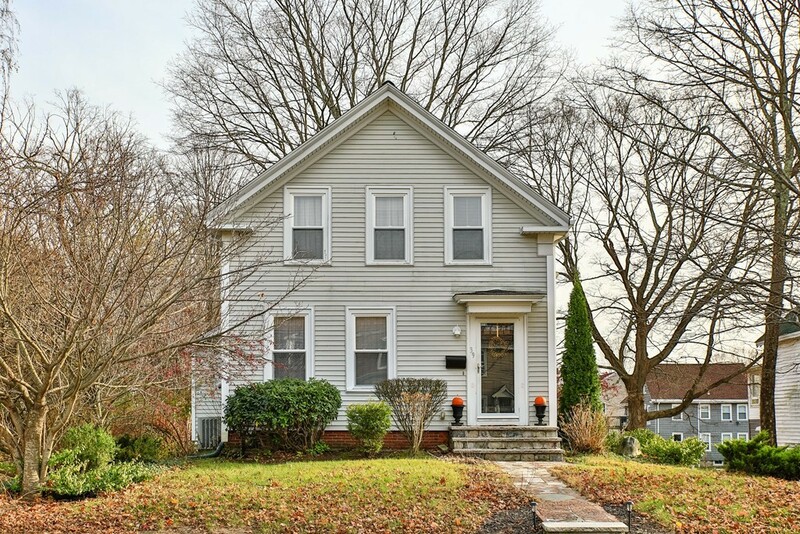 And the winner is...the future owner of this adorable farmhouse colonial. Tremendous natural light, delightful colors and warm original hardwood flooring will lift your spirits and instantly make you feel right at home. Wonderful floor plan is great for entertaining any season. White kitchen cabinets and island opens to spacious dining room and double wide doorway into living room space. 1st floor has a bright half bath. Slider off the dining room to deck is perfect for summertime grilling or sipping your favorite beverage. The deck overlooks nearly a half-acre yard space with shed. Beautiful exterior stonework on walk-way and around deck. Plenty of off-street parking. Upstairs are 3 bedrooms and a 3/4 full bath. Bonus finished room in the basement. This home has many updates and has been well maintained. Great commuter location conveniently located nearby route 1, 95 and 495. Opportunity knocks!